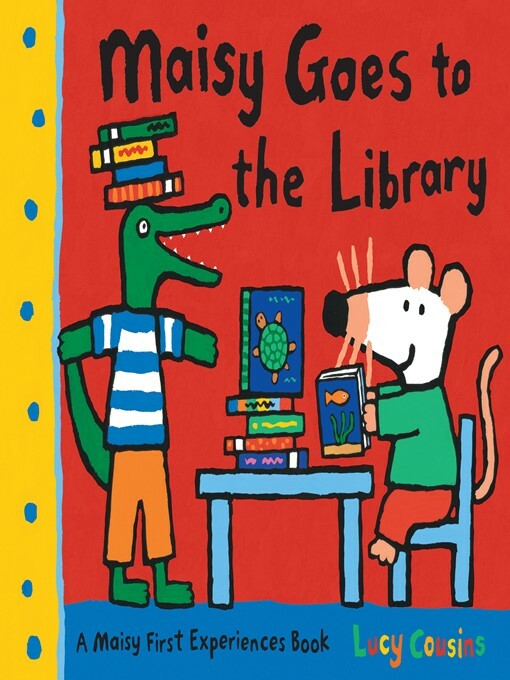 Maisy's plan to have a quiet read is put to the challenge by her giggling friends in this ode to the pleasures of the local library (ages 2-5). Maisy likes going to the library. She loves to read a book in a nice, quiet place. Today, Maisy wants to read a book about fish, but she can only find books about birds or tigers. So she explores some of the other things to do in the library, like using the computer, making copies, listening to music, or looking at fish in the aquarium. Aha! Finally Maisy finds a sparkly book all about fish. But just as she settles into a corner to read, along come Cyril, Tallulah, Eddie, and Ostrich — and they all have noisier activities on their minds!